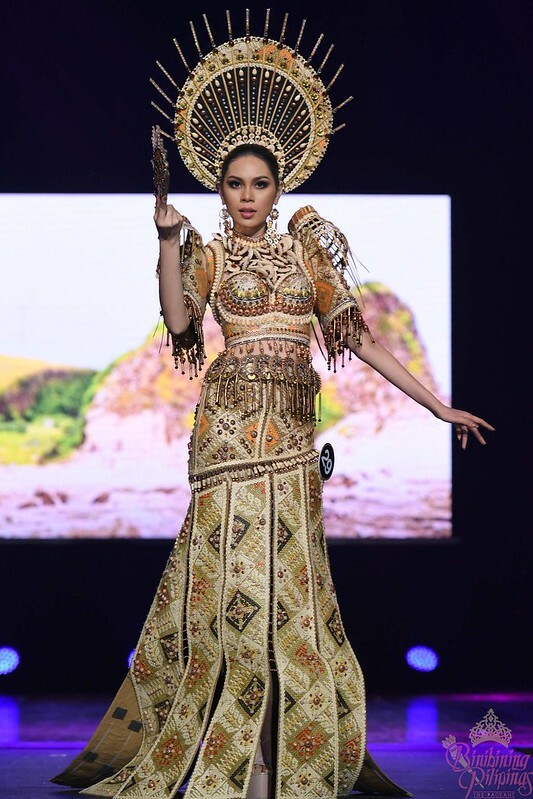 BINIBINING PILIPINAS 2018 NATIONAL COSTUME - I Blog, Therefore I Am. A princess creation made for a princess. Frontrunner all the way! The legions of fans (me included) will not allow Cat NOT to get the NatCos Award - among other things. I loved the cut and design of this gown. But its very yellow which can be very overwhelming for some (anti-dilawans?). Karen Gallman's Maria Clara was very usual but it's still stunning on her. Sandra Lemonon's NatCos was also hailed as one of the top creations but I have issues with her legs with it. They are definitely not flattering. I saw a photo of this with her on Tippy Tops-like shoes and it was very nice. Almost all of my favorites made it to the Top 10 National Costume except for Ahtisa and Karen. 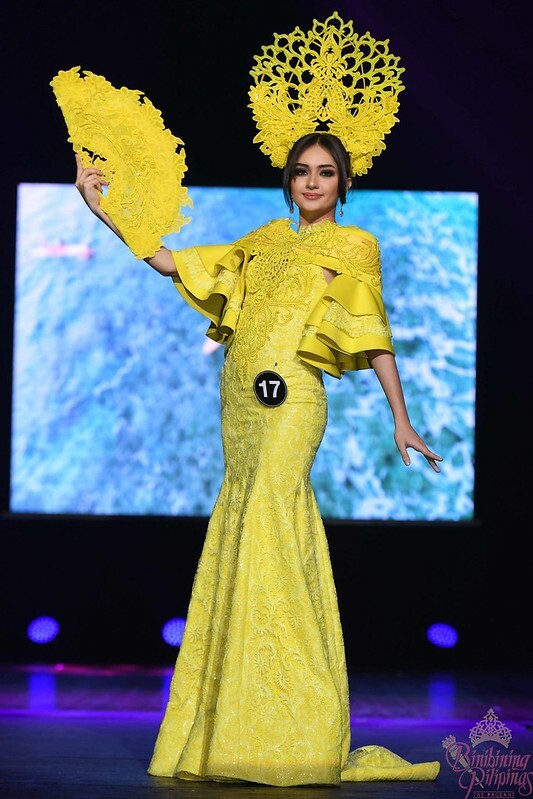 I really hope that Samantha's costume will win for its uniqueness and the designer's fresh output and interpretation. BUT I think the honors will go to either Michele or Catriona - especially if the fan votes will play a big role OR if it's the only criteria. Six days to go until the crowning! Can't wait! I'll be spending the next few days in deep thought on who will deserve by Final Eight.